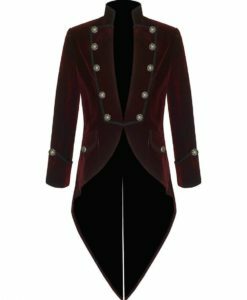 This is the red Velvet Goth Steampunk Victorian tail coat jacket is amazingly designed Victorian Jacket.There are 10 antique decorated button on the front of the jacket making it look amazing. 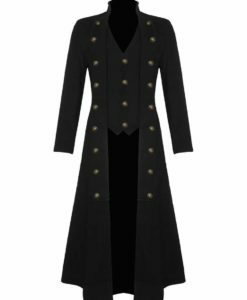 There are big collars of Victorian style. 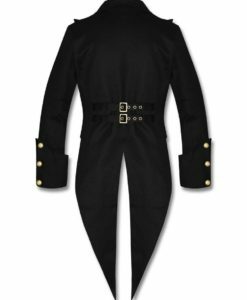 There are two flap pockets on either side of the Jacket in diagonal style, each flap has antique button matching the front buttons of the jacket. This jacket feature button fastening on the waist. The sleeves of the jacket are long with folded cuffs and decorated button matching the front buttons. 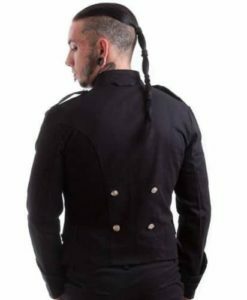 The back of the jacket has long jacket which is why it is a tail coat jacket. High quality red velveteen is used in manufacturing the jacket. The front of this red jacket is amazingly designed with Victorian touch. 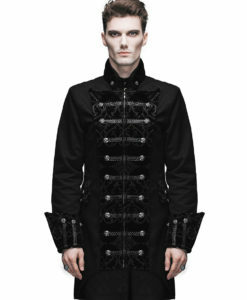 There are ten antique buttons on the front; five on each collar giving the jacket an elegant look. 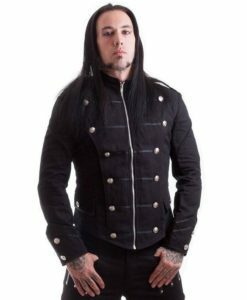 The jacket feature one waist button fastening which looks really amazing. 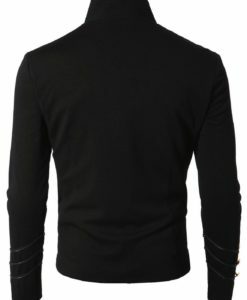 There are two flap pocket on either side of the jacket in diagonal style. Each flap has antique button matching the front button of the jacket. 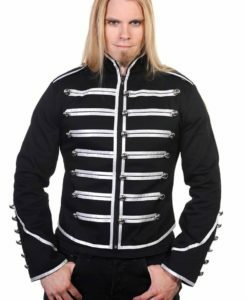 The jacket has long sleeves which gives it an amazing look. 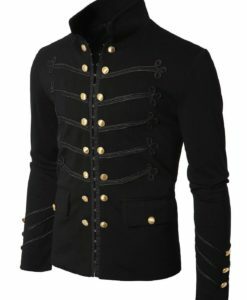 The cuffs of the jacket are doubled with decorated antique buttons. It has big coat looking Collars which adds to its Victorian style. 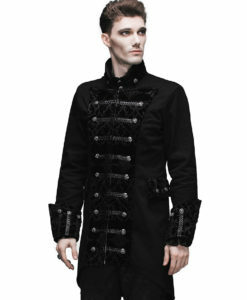 The jacket has long collars like a pure Victorian style. 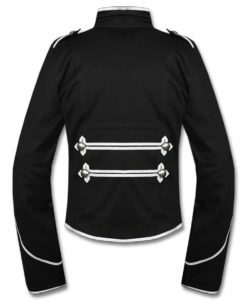 There is a big tail coat on the back of the jacket with big cut making it a comfortable to wear. This is my first purchase at kilt and jacks and I’m very happy with it. 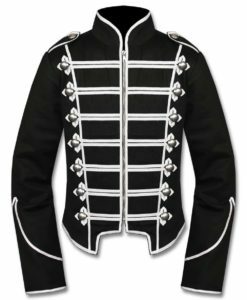 This jacket is fantastic! 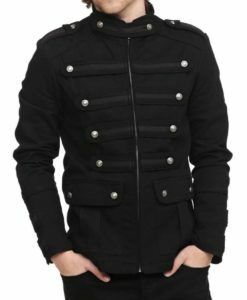 Great design and it looks and fits perfectly. 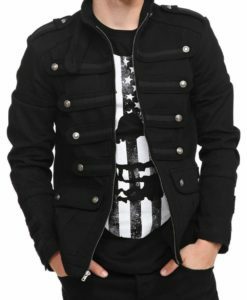 I’ve shown this jacket to my friends and they didn’t believe me that I got that for that amount of price! 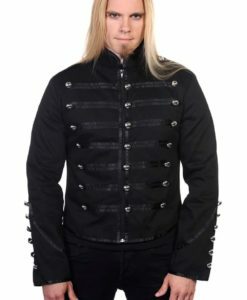 Thank you kilt and jacks I will definitely be back for all my jackets need from now on! Thanks again!